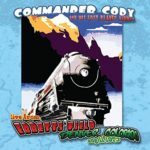 For many rock listeners, Commander Cody and His Lost Planet Airmen’s 1971 debut, Lost in the Ozone, was a taste-expanding experience. The group’s catalog of country, western swing, boogie-woogie, jump blues and rockabilly was broader than the country excursions of 1960s rock bands like the Byrds, and though others – notably NRBQ – blended multiple genres, the Airmen’s cover of “Hot Rod Lincoln” turned commercial attention into a following. The band hit the road in 1973 in support of their third album, Country Casanova, with a new-used tour bus and ace steel player Bobby Black in tow. The tour schedule was apparently quite grueling, but produced superb shows, including this stop in Denver, Colorado. The group’s core lineup – George “Commander Cody” Frayne, Billy C. Farlow, Bill Kirchen, John Tichy, Lance Dickerson, Andy Stein and Bruce Barlow – had been steady since their debut, and the chemistry they’d developed in San Francisco Bay Area clubs is evident in this set. They weave together a handful of originals with a wealth of brilliantly selected covers, including sad truckin’ songs, rockin’ rave-ups, Cajun and swing dance numbers, novelty tunes and a cowboy closer. The stereo recording is well preserved, though there are major dropouts on “All I Have to Offer You (Is Me)” and “Diggy Liggy Lo,” and the live mix lets some of the instruments and vocals peak in the red. 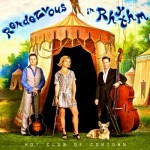 Austin’s Hot Club of Cowtown has been mixing Western Swing and Gypsy Jazz since their inception in 1997. This lineup solidified in 2000, and though they split briefly in 2005, their careers continued to intertwine even as they explored separate pursuits. Reuniting in 2008, the band picked up where they left off, mixing covers and originals, and continuing to grow more adept at both writing their own material and interpreting that of others. In 2011 they paid tribute to half their roots with the Bob Wills tribute, What Makes Bob Holler, and their latest follows up with a salute to the other half, Django Reinhardt and Stéphane Grappelli’s Quintette du Hot Club de France. 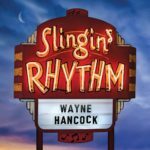 Wayne Hancock’s been making great albums since he introduced himself with 1995’s Thunderstorms and Neon Signs. 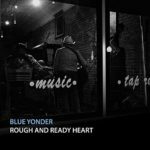 His vocal similarity to Hank Sr. hasn’t abated a bit in the subsequent eighteen years, nor has his fealty to the basic elements of Williams’ brand of twangy honky-tonk and haunted sorrow. 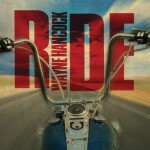 But Hancock is more a man out of time than a throwback, and though his music takes on a nostalgic tint amidst Nashville’s contemporary style, he makes the case that the sounds he champions are timeless. He sparks terrific performances from his guitarists (Eddie Biebel, Tjarko Jeen and Bob Stafford), steel player (Eddie Rivers) and bassist (Zack Sapunor), and he sounds happy to be singing,l even when he’s singing the blues. 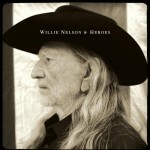 Willie Nelson spent nearly two decades with Columbia, starting with his 1975 breakthrough (and first chart topper), Red Headed Stranger. He bounced around a number of majors and indies through the ‘90s and ‘00s, and now returns to the Sony fold via the company’s Legacy division, an imprint known more for its vast array of catalog reissues than for new music. But as a heritage artist, it’s a good fit, as Nelson revisits material from his catalog, chestnuts from the ‘30s and ‘40s, covers of recent pop songs, and new titles from his pen and that of his son, Lukas. The results are vital, and surprisingly coherent, if perhaps not always tightly focused. Covers of Pearl Jam (“Just Breathe”) and Coldplay (“The Scientist”) intermingle with Western Swing (“My Home in San Antone” and a terrifically jazzy “My Window Faces South”), ‘40s weepers (“Cold War with You”), and newly written originals. Recorded in 1970 and released in 1971, Elvis Country was the culmination of a remarkable career resurrection. Starting with his 1968 Comeback Special, Elvis went on to reel off the brilliant From Elvis in Memphis (and the second-helping, Back in Memphis), the smartly constructed Vegas show of On Stage, and the studio/live That’s the Way It Is. He capped the run with this 1971 return to his roots, branding these country, gospel, blues, rockabilly and western swing covers with authority. Elvis showed his genius was rooted in his passion for music, which encompassed everything from the early rockabilly of Sanford Clark’s “The Fool” (written, surprisingly, by Lee Hazlewood) to the then-contemporary hit “Snowbird,” as well as classics from Ernest Tubb, Lester Flatt & Bill Monroe, Willie Nelson and Hank Cochran. Recorded in RCA’s famed Studio B with Presley regulars James Burton, Charlie McCoy and Chip Young; the newly assembled studio hands included several players from the Muscle Shoals powerhouse, and the sessions were produced by Felton Jarvis. The arrangements ranged from loose, down home country jams to Vegas-styled orchestrations, and hearing the variety back-to-back, one quickly realizes how easily Elvis transcended the musical boundaries between his ‘50s roots and his glitzy ‘70s stage shows. Much like the 1969 American Studio sessions in Memphis, Elvis’ enthusiasm and musicality directs the assembled players and provokes top-notch performances; he leads the crew through a rocking workout of Jerry Lee Lewis’ “Whole Lotta Shakin’ Goin’ On” and brings “Tomorrow Never Comes” to a volcanic climax. The original album tracks are knit together with snippets of “I Was Born About Ten Thousand Years Ago,” a gimmick that some listeners find irritating, and which wreaks havoc on shuffle play; the complete take is included in the bonuses. An earlier CD reissue expanded the track count from twelve to eighteen, and this double-CD pushes the total to twenty-nine, including all six earlier bonuses. Disc two opens with the third-helping of the Nashville sessions, previously released as Love Letters from Elvis, and adds three more session bonuses: the singles “The Sound of Your Cry” and “Rags to Riches,” and the album track “Sylvia.” The broad range of material on Love Letters doesn’t always connect with Elvis’ legacy as tightly as that on Elvis Country, but Elvis is in fine voice on each track, and the assembled players are sharp. 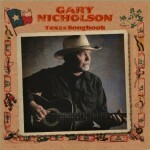 Gary Nicholson is a Texan who’s had a lot of success in Tennessee. His songs have appeared on the albums and singles of country stars Patty Loveless, Montgomery Gentry, Vince Gill, Garth Brooks and Trisha Yearwood, marrying the hooks required of a Nashville hit with the complex emotions and deep country roots of Texas songwriting. His recording career has been more eclectic, starting with California country-rock in the early ‘70s, blues-rock in the mid-90s, and a return to his roots with an alter-ego tribute to Texas blues legends on 2008’s Gary Nicholson Presents Whitey Johnson. Last year’s Nashville Songbook, Volume One reclaimed a number of songs he’d peddled to Music Row, adding a songwriter’s expression that’s rooted in first-hand truth rather than interpretation and performance.